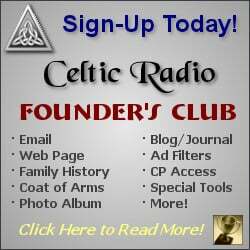 January 23, 2018 - CelticRadio.net - Upbeat step dancing tunes with an introspective feel. Searson is an experienced band with a rather eclectic background, having been on the road for over 10 years. Over time, their sonic vision has strengthened and the band feels tightly knit, with an excellent chemistry between the band members. Part of this unique bond might be due to the special relationship between sisters Erin and Colleen Searson, who had the opportunity to develop a rather unique approach to songwriting and performing. Their music has an extraordinary dualism to it, because it can be both extremely melancholic and highly energetic, allowing upbeat step dancing vibes to merge in with vocals that are filled with passion and integrity. 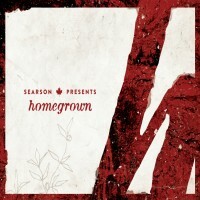 The band recently released a brand new project titled Home Grown, a collection of striking tracks that captured the essence of the band, while allowing them to move forward with their creative scope and vision. One of the first things you will notice is the really broad range of instruments and different sounds that appear on this album. 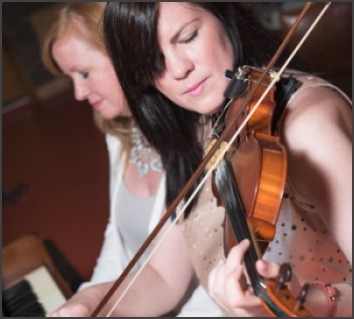 The sisters are indeed accomplished multi-instrumentalists, who know how to weave stunning arrangements and make use of the textures, tones and qualities of different instruments, from tenor guitars to fiddles. Their ability to add more instruments to the mix doesnt only translate into better sonic variation, but also gives a more expressive feel to the entire record as a whole. On stage, they are often aided by a cast of excellent musicians with outstanding credentials, including drummer Dave McDougall and bassist Fraser Gauthier. Home Grown stands out as a very strong statement for a band thats built on two simple ingredients before anything else: passion and vision. These talented sisters have a true desire to bring great music to life and share it with listeners throughout the world. Their sound feels innovative and introspective, yet nicely familiar and quite accessible to a broad spectrum of listeners. From the record's most touching ballads, to its more energetic moments, this album truly feels like a powerful new chapter to the Searson saga, and another testament to the incredible talent of these musicians, who converged to create something truly memorable.